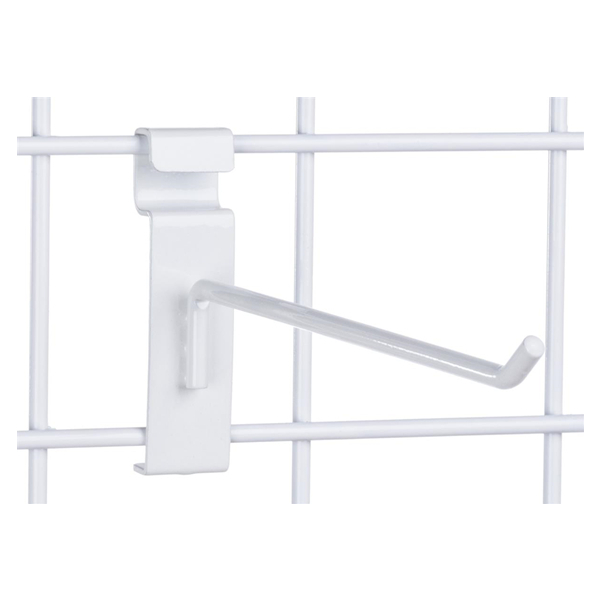 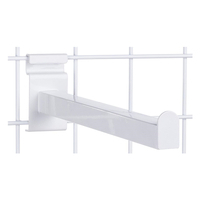 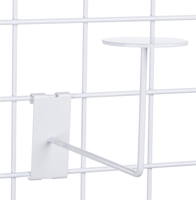 These gridwall peg hangers are made of durable steel with a hard-wearing white powder coated finish that withstands heavy use. 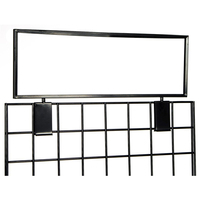 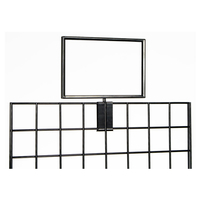 Designed to attach securely to standard grid panel display fixtures, these lightweight accessories are perfect for retail or trade show use. 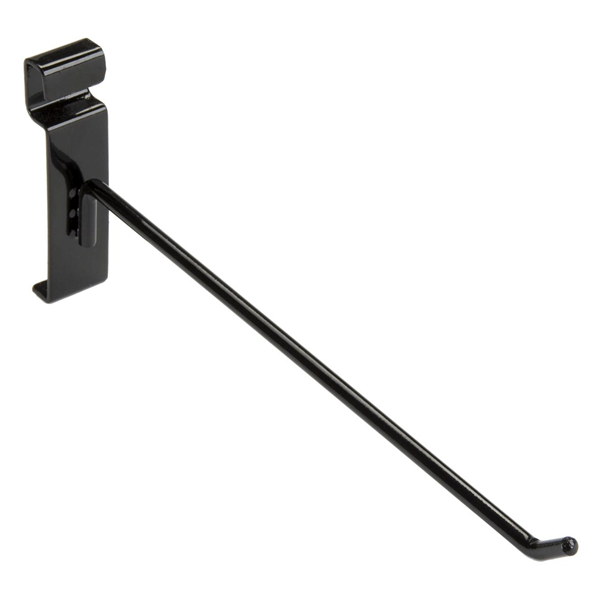 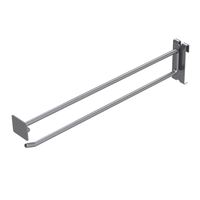 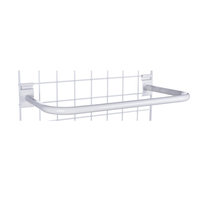 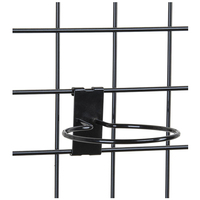 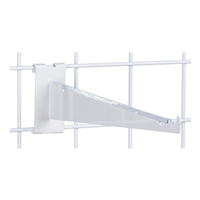 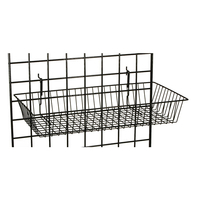 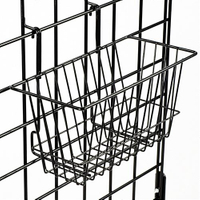 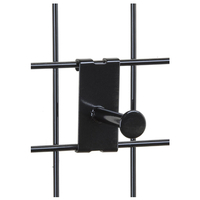 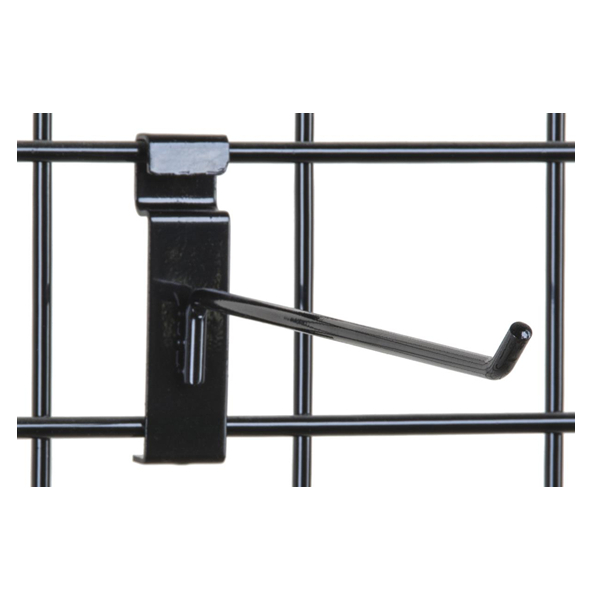 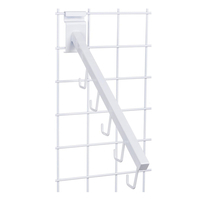 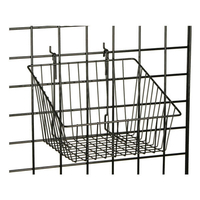 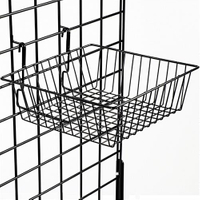 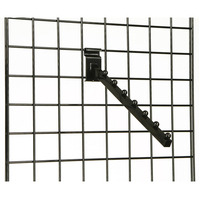 The mid-size gridwall peg hangers feature a 30° up-tilted end to help keep merchandise in place. 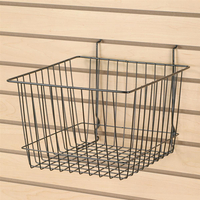 Each of the white steel hooks is secure when in place on grid panels but easily moved to accommodate changing retail displays. 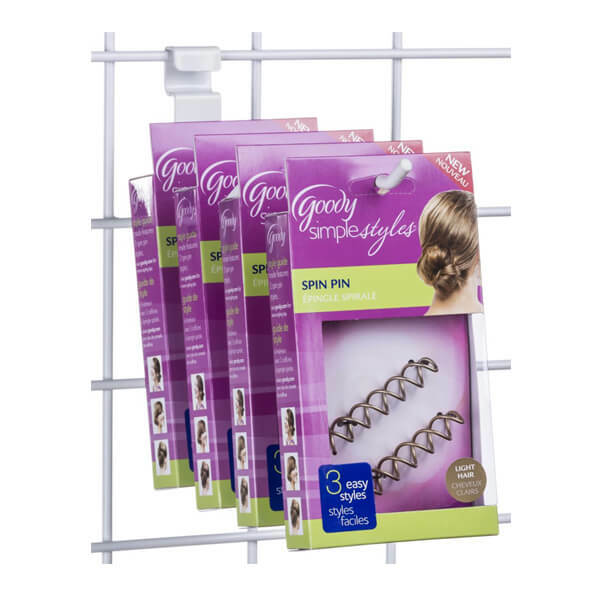 Because of their size, peg hangers will hold a wide variety of items. 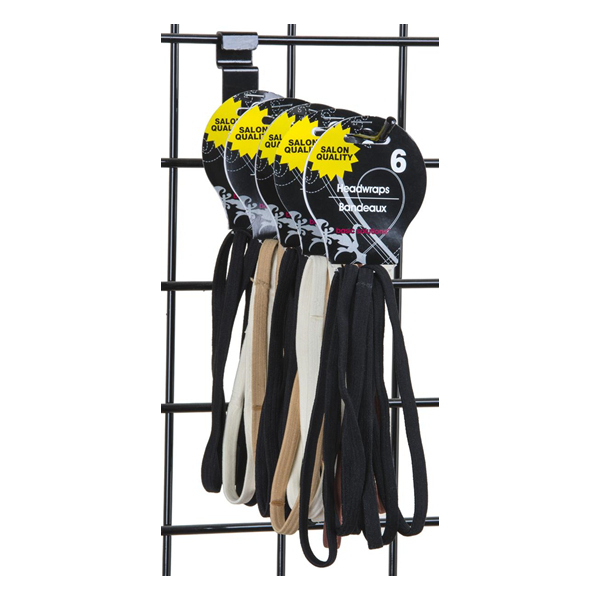 The versatile fixture accessories are lightweight and easily stored, making them a perfect choice for both everyday and special event use.